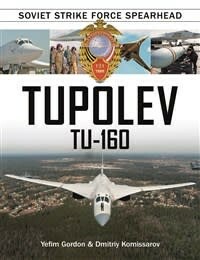 Developed as the answer to the American B-1, the Tupolev Tu-160 was the Soviet Union’s most potent strategic bomber. Several project versions were rejected, and a highly controversial contest involving some of the Soviet Union’s top-class aircraft design companies took place before the Tu-160 variable-geometry bomber reached the hardware stage. Its design made use of many advanced features not used previously on Soviet bombers. While being a nuclear deterrent for most of its career, the Tu-160 has recently seen actual combat in the war on terrorism. 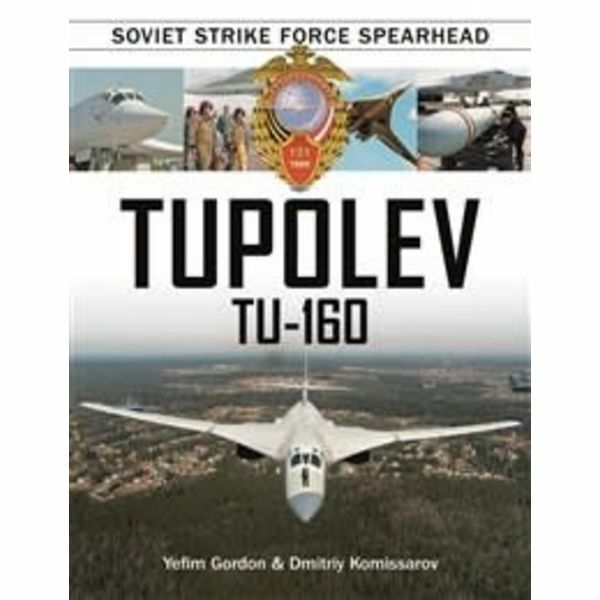 The Tu-160 story is not over yet, since Russia is now resuming production of the type to bolster its strategic potential. The book gives the type’s complete development, test and service history of the Tu-160, including such intriguing episodes as the type’s overseas deployment to Venezuela, and the flight of a Tu-160 with Russian President Vladimir Putin aboard. It is richly illustrated with color photos and original factory drawings. A comparison is made of the Tu-160 and its American counterpart, the B-1. 288 pages, Published November 2016, 288 pages, 376 colour and black & white photographs, hardcover, 8 3/4" x 11 1/4"